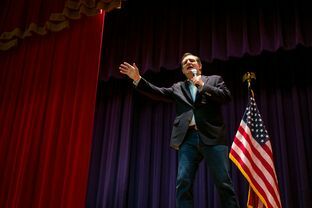 Ted Cruz on Saturday handily won the Republican presidential caucuses in Kansas and Maine, while suffering losses in Kentucky and Louisiana. Taken together, the results gave the U.S. senator from Texas a boost of momentum in his quest to show he is the most viable alternative to Donald Trump. Cruz emerged from the night with the most delegates, narrowing Trump’s lead in the overall hunt at a time when the GOP is desperately searching for a way to stop the billionaire.